​Whether you are buying, selling, re-mortgaging ​or just concerned about Japanese knotweed near your property, Knotweed Control offers a professional commonsense approach to controlling this notorious species as well as other invasive non-native plants. The Environment Agency describe Japanese knotweed as “indisputably the UK’s most aggressive, destructive and invasive plant in the UK” causing many environmental, economic & social problems. 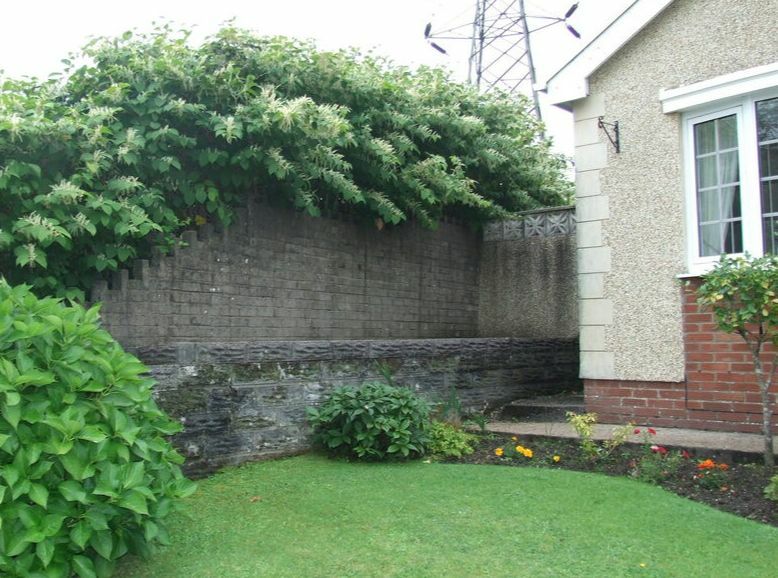 Where Japanese knotweed "affects" a property, it can reduce the value on on average by 10-15%, can delay or stop sales, mortgages can be refused and insurance claims refused for damage caused by knotweed and can cause legal and neighbour disputes where it has spread. Japanese knotweed can grow 10cm a day & a piece of rhizome the size of a pea (0.7 gm) can make a new plant ! DON'T spread it by digging, mowing, strimming or flailing and as is classed as a “controlled” waste it is an offence to out it in your black or green waste bags or take to amenity sites. Incorrect control make ongoing treatment more complicated and expensive therefore it is really important to get the correct advice from the outset and don't try to tackle the problem yourself and get the neighbours on board to deal with an outbreak properly. Knotweed Control Swansea Limited supply simple annual herbicide treatment programmes right through to requirements demanded from lenders such as Japanese knotweed Management Plans with 5 & 10 year Insurance Backed Guarantees (IBG) . We are a member of the Property Care Association's Invasive Weed Group & TrustMark Government Endorsed Scheme which many lenders now insist on to undertake any remediation works and follow the risk levels as see in the Royal Institution of Chartered Surveyors (RICS) Information paper on Japanese knotweed 2012.